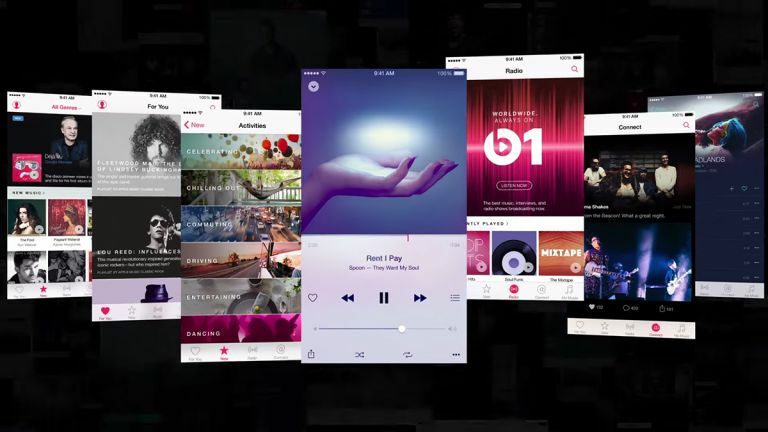 Apple Music is one of the most talked-about technology product launches of the year, and many of you will be working your way through the three-month trial dished out to all iOS users at the end of June. Have you taken the time to explore everything the service has to offer, though? Here are seven Apple Music tips and features you might not yet know about. There are a lot of benefits to having access to millions of songs on demand, but there are some downsides too - such as the question of how you're supposed to find your way around this cornucopia of musical delights. Streaming music services stand or fall on the strength of their recommendation engines, and Apple Music is no different. You won't get a decent selection of tunes in your For You tab unless you tell Apple what you do and don't like - you should've done this already when you signed up, but you can tweak your choices by tapping your avatar on the front screen of the app, then tapping Choose Artists For You. Tapping the heart next to songs and artists you like helps too. Whether or not you spend much time listening to the Beats 1 radio station, you can still plunder some playlists and song recommendations from it. If you tap the Radio icon at the bottom of the Apple Music interface and then tap on the Beats 1 logo, you can scroll down to the Featured shows section to see some recent playlists. When you're actually listening to Beats 1 or any other radio station, bring the Now playing window up to full-screen size (by tapping on the playback bar), tap the More menu (the three horizontal dots in the lower right-hand corner) and you can add the current track to your music collection or to a specific playlist. Connect is Apple Music's way of bringing you closer to the artists you care most about - it works a little bit like a social network and enables bands and singers to post exclusive content you won't get anywhere else. By default, Apple Music signs you up as a follower of anyone who appears in your music library. If you don't want to use Connect and you'd rather free up the interface space for something else, you can switch it off: from the Settings app tap General and then Restrictions. Once you've enabled restrictions on your device, disable Apple Music Connect and it disappears from the app interface. On-demand music streaming is all well and good until you lose phone signal or Wi-Fi. To make sure the music keeps playing, cache songs for offline listening in advance - if you open up the More menu next to a song, album, playlist or artist you'll see a Make Available Offline option to save the music locally. If you follow the iTunes & App Store link inside the Settings app, then turn on the option marked Use Mobile Data, Apple Music will download songs for offline listening over your phone's data connection as well as Wi-Fi. If you do switch this option on, make sure you have a data plan that can handle it. We've already spoken about the vast amount of choice you have when there are millions of streaming songs to choose from, and picking out the tracks you like or have actually paid money for can be tricky in the new Apple Music interface. There are a couple of ways to make it easier to get to your own collection. First, you can move anything from the Apple Music library to your own library via that ubiquitous More menu (those three horizontal dots). Then, from the front page of the My Music screen, choose Music Available Offline from the top drop-down menu to focus on local music rather than everything Apple has in its cloud. It can be quite a jolt going from the old iOS 8.3 Music app to the brand new iOS 8.4 Apple Music app, especially if you've signed up for the three-month trial and suddenly find your library invaded by millions of new songs you didn't ask for. One of the features that's been moved around is the option to shuffle all the songs in your library. To do this in the new Apple Music app, open the My Music tab and tap on Songs from the drop-down menu at the top. Choose a track, open up the Now playing screen, and enable the shuffle function. Apple Music for Android hasn't shown up yet, but it is available in iTunes 12.2 for Windows and Mac. If you haven't used the desktop software in a while, it might be time to dust off the download button and give it another whirl. Sign in with your Apple ID and you get all of the same tabs as on the mobile app - My Music, Playlists, For You, New, Radio and Connect, and they all work in the same way. Of course, in the desktop software, it's all integrated with your movies and television shows too.